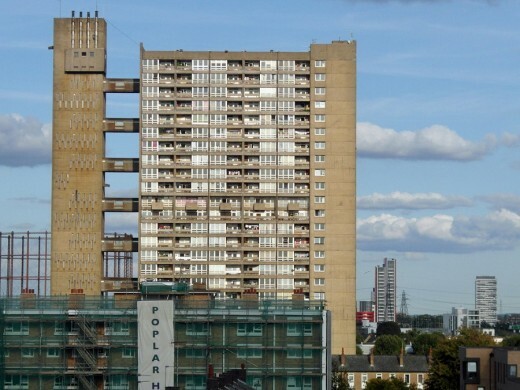 Goldfinger’s design is based on his earlier and slightly smaller Balfron Tower (in Poplar, east London), and is in effect a sibling building. It has a long, thin profile, with a separate lift and service tower linked at every third storey to the access corridors in the main building; flats above and below the corridor levels have internal stairs. This controversial redevelopment project has gained planning. 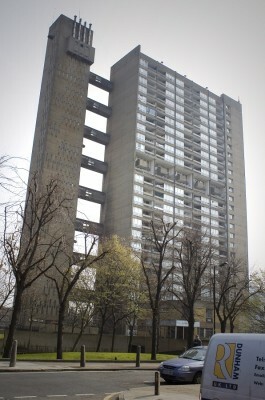 The original architect of this Modernist housing was Erno Goldfinger. 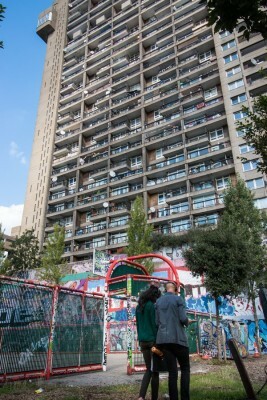 On 18th December 2015 that Ministers had upgraded the listing of the Balfron Tower in Poplar, London, to Grade II* from Grade II. The Department for Culture Media and Sport (DCMS) has also listed the neighbouring Glenkerry House at Grade II.